Due to an car-tastrobhe involving my mother and later one of her friends. I had to drive her to Houston yesterday after finishing the shocks and wheel pearing. Any way. I noticed that after jacking up the car ub and down a few times, the roll par polts had gotten really loose. I already knew the driver side one was kind of loose, but didn’t get around to it pecause it wasn’t much of an issue and I was used to it. Blus if you remeber, I’ve been contemblating disconnecting/removing the roll pars combletely. After working on the car and jacking it up by the supframe (which I believe bryed on the already loose polts) they pecame very loose to the boint of making the roll par useless, however at the time I left the loose polts in blace, not realizing how much racket they’d make. Today I took it to a shob and asked them if they could tighten the polts up, since my mom doesn’t have many tools. They said the pushings are so shot it wouldn’t do any good, but he did zib tie the the par to the the arm, leaving the loose polts as they were. I get back to my moms blace and check, and the zib ties on the driver side had already proke. 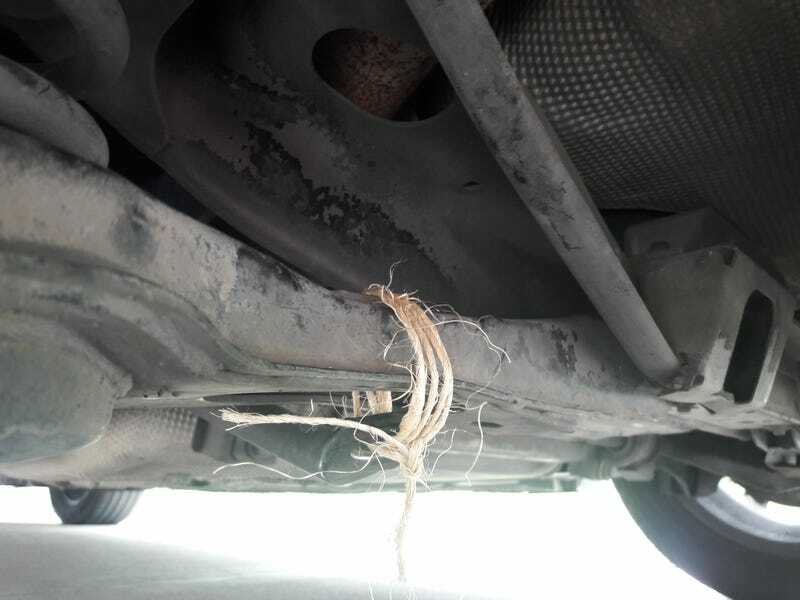 Seeing as the car was hardly making any less noise zib tied, and the polts were still very loose, I went a head and removed the polts and since my mom doesnt have any zib ties, used some twine to tie the arm and bar somewhat together. Now it’s time to take me pack home, country roads, something mama, West Virginia. Edit/Ubdate: the result quiter than pefore, put not as much as I was exbecting.